Happy New Year! 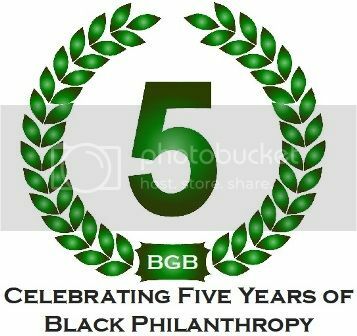 This year is an important milestone for BlackGivesBack, in that we will celebrate 5 years of highlighting black philanthropy and charitable giving. I launched the blog in April 2007, and it has been a joy to share the good deeds for and by African Americans to benefit our communities. My primary goal is to show that African Americans are not just recipients of philanthropy, but major benefactors, donating millions of dollars to causes important to us. We've profiled philanthropists such as Bernard and Shirley Kinsey, Eddie and Sylvia Brown, Mannie Jackson, Cynthia Stafford, Alphonse Fletcher, Jr., Anthony Welters, Earl Stafford, Roy and Maureen Roberts - and there are many more we will feature this year. I along with my contributors will continue to highlight charitable events and fundraisers across the country, profile individuals working in philanthropy and the nonprofit sector, feature celebrity philanthropy and news of interest to the black community. Two focus areas this year will be black men and boys, and resources for nonprofit organizations, such as board development and fundraising. We'll also announce exciting partnerships and an anniversary event! Here's how you can help to celebrate our anniversary: Have you been impacted by an article you read on BlackGivesBack? Share your story. Have you increased your charitable donations or volunteering in your community? Let us know! 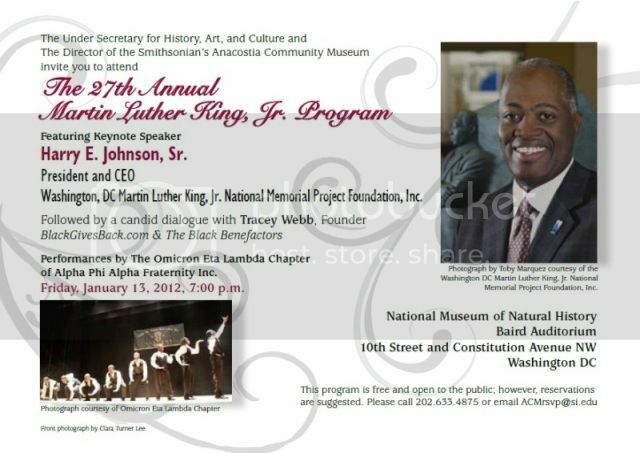 Email to info[at]blackgivesback[dot]com. Also, share with us your favorite nonprofit, community leader or charitable event in your community to be featured on BGB. During Black History Month, I'm serving as an honorary co-chair for the Association for the Study of African American Life and History's annual luncheon on Saturday, February 25th. The 2012 Black History Month theme is Black Women in American Culture and History. Tickets are now available and sponsors are needed to purchase tickets for youth. For more information, visit http://www.asalh.org/. 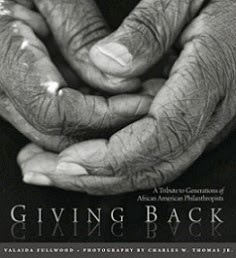 For Atlanta readers, please join our Charlotte contributor Valaida Fullwood, author of Giving Back: A Tribute to Generations of African American Philanthropists along with photographer Charles Thomas at a book reception and signing, January 26th at the Georgia Pacific Auditorium from 6-8:30 pm. 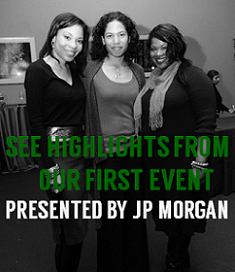 The event is hosted by: African American Development Officers Network, The Arthur M. Blank Family Foundation, The Community Foundation for Greater Atlanta, Georgia Tech Black Alumni Organization, National Coalition of 100 Black Women Metropolitan Atlanta Chapter, Southeastern Network of African Americans in Philanthropy and Southeastern Council of Foundations. The book has been named one of the 10 Best Black Books of 2011 and is up for a NAACP Image Award nomination for literature. For more information and to RSVP, visit HERE.